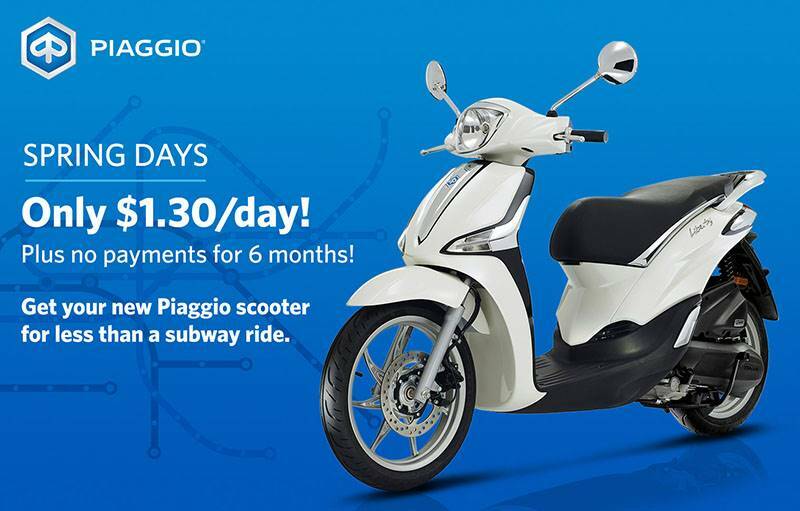 There is no better way to start the new year off than with a brand-new Piaggio scooter! Take advantage of monthly payments starting as low as $38mo2 at 4.99% APR for 60 months2, 4.99% APR for 36 months with no payments and interest for 6 months3 or choose 1.99% for 36 months1 on all MY18 and MY19 models. Vehicle photos may reflect European models and specs. Dealer participation and stock may vary. Please contact your local dealer for more information. Offers valid from April 1st, 2019 through May 31st, 2019 at participating dealers only.